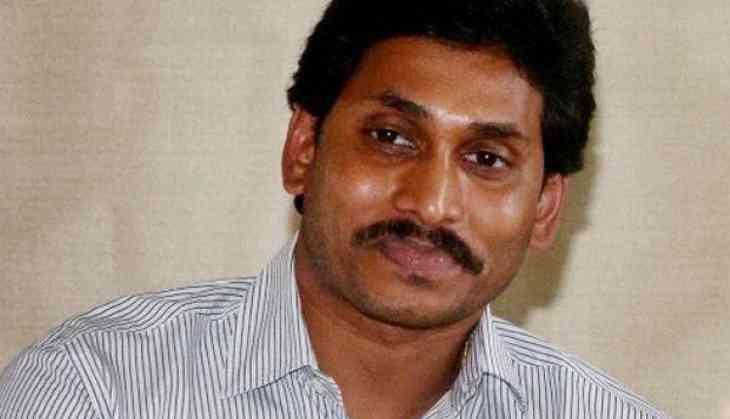 Following the Telugu Desam Party's (TDP) withdrawal from the National Democratic Alliance (NDA), Yuvajana Shramika Rythu Congress Party (YSRCP) President Jagan Mohan Reddy on Friday claimed that after years of relentless struggle, the nation and TDP have "finally" woken up. Taking to Twitter, Reddy said, "After four years of relentless struggle and fight by the YSRCP with people's support for Special Category Status (SCS), finally, the nation, including N Chandrababu Naidu's TDP wakes up!" Attributing the TDP's decision to move a no-confidence motion against the Centre to that of his party's itself, the YSRCP Chief assured that his party would continue to fight for the people of Andhra Pradesh. "Even if guided by political compulsion, TDP had to yet again follow YSRCP's lead of moving a no-confidence motion against the Central government for not granting SCS to AP. A win for democracy and people of AP. YSRCP will continue to fight for SCS and the rights of the people of AP," he tweeted. On a related note, the TDP on Friday pulled out of the NDA following a period of sour relations between the allies over the issue of granting 'Special Category status' to Andhra Pradesh. Furthermore, the Chandrababu Naidu-led TDP wrote to the Lok Sabha Secretary-General for moving a motion on 'No-Confidence in the Council of Ministers' in the House. "Under Rule 198(B) of chapter XVII of the Rules of Procedure and Conduct of business in Lok Sabha, I hereby give the notice to move the following motion in the House on Today Dated 16.03.18," TDP MP Thota Narasimha said in the letter. "This House expressed No confidence in the Council of Ministers," read the Motion stated therein. The opposition party in Andhra Pradesh, YSRCP, also gave the notice to move a no-confidence motion in the Lok Sabha.